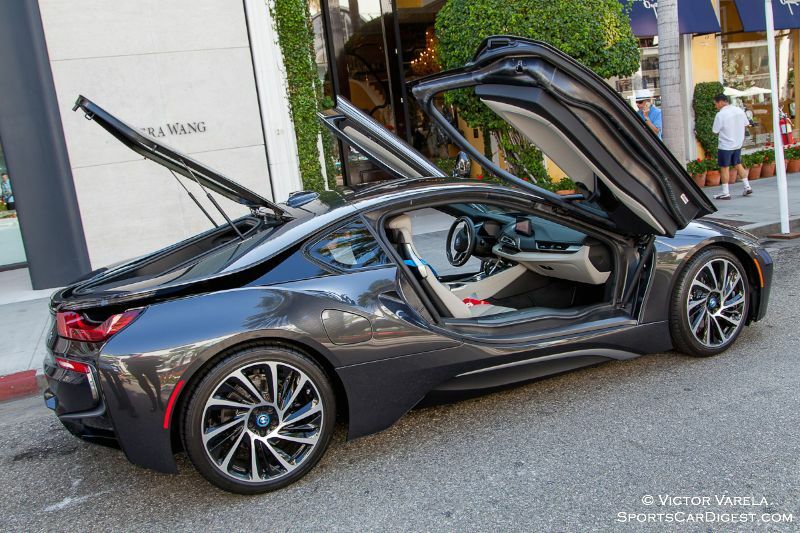 The 2015 Rodeo Drive Concours d’Elegance was held Sunday, June 21st on Rodeo Drive in Beverly Hills, California. 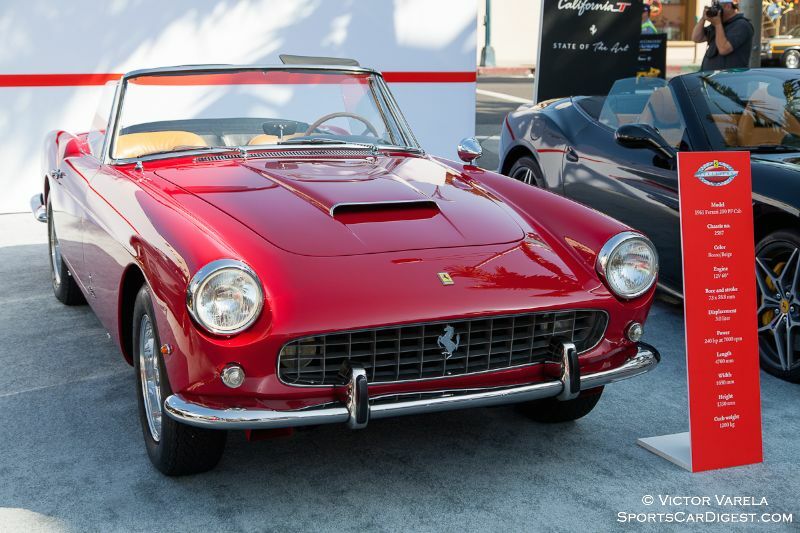 This year marked the 22nd time the City of Beverly Hills staged its Concours on the famed thoroughfare. 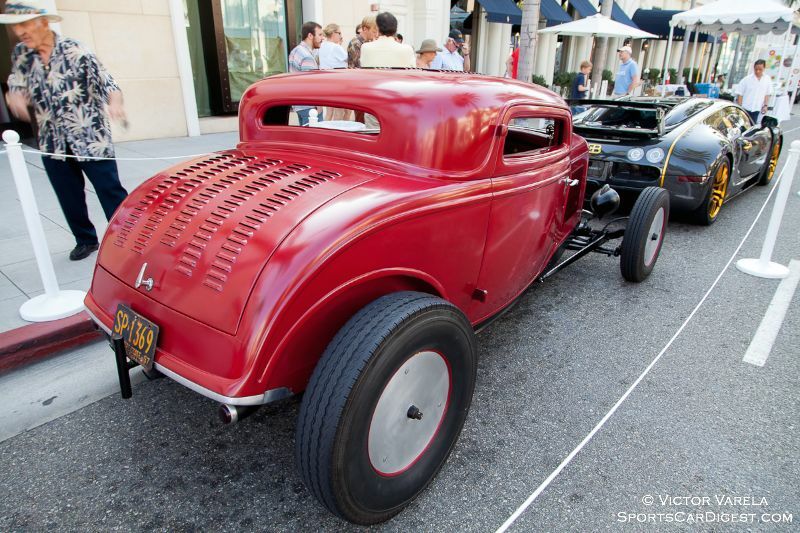 The Father’s Day tradition featured a superb selection of rare automobiles highlighting the past, present and future within a 3-block area between Wilshire and Santa Monica Boulevards. 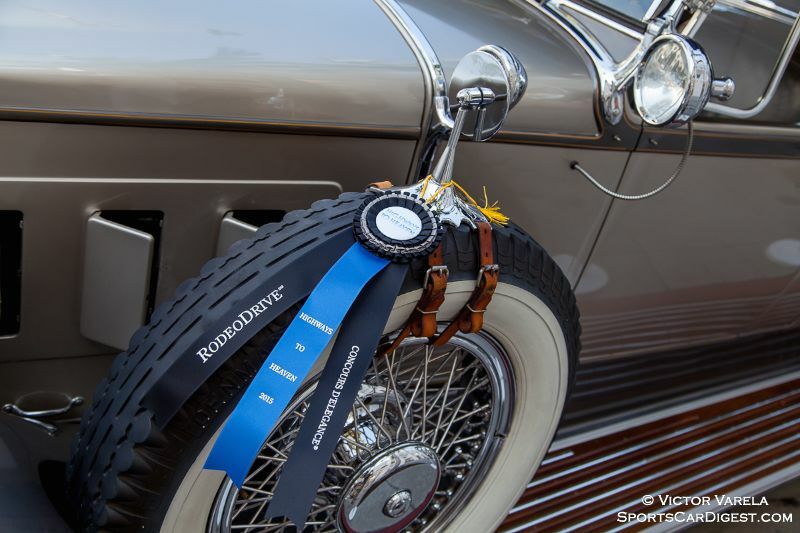 Led by Chairman Bruce Meyer, the Rodeo Drive Committee selected the theme “Highways to Heaven” to honor America’s Route 66, the Autobahn in Germany and Autostrade in Italy. Alfa Romeo served as the featured marque at this year’s Concours and several examples of the Italian manufacturer were on display, including a 1930 8C 2300 Touring Spider and a 1963 TZ, among other entrants. 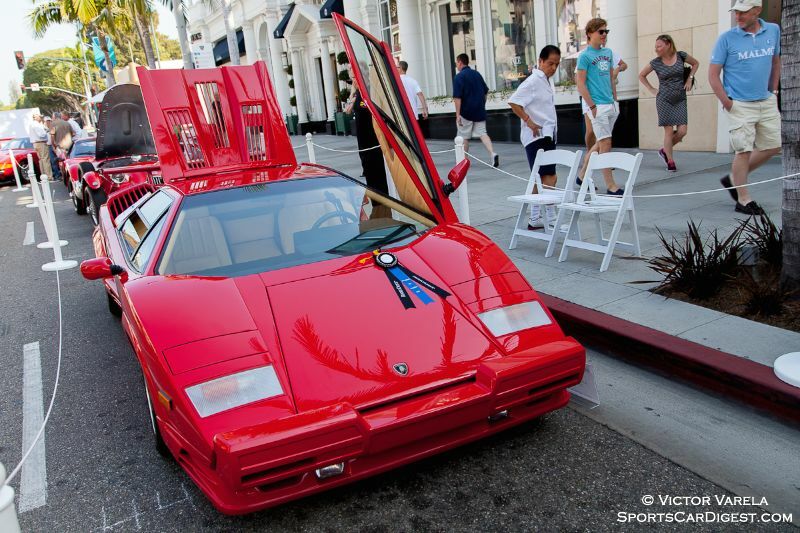 The Winner’s Circle, at the intersection of Brighton Way and Rodeo Drive featured some fine examples from Carrozzeria Touring Superleggera. 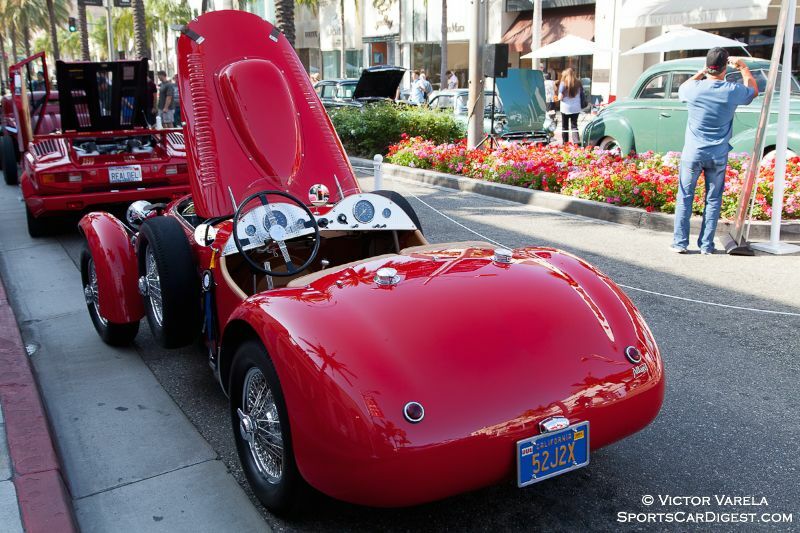 These included a 1932 Alfa Romeo 8C Touring Spider owned by Chuck Wagner, a 1949 Alfa Romeo 6C 2500 Villa d’Este coupe owned by Tim Walker and this year’s Best of Show winner, a 1938 Alfa Romeo 8C 2900B Short Chassis Touring Spider from Ray Scherr. On display were vehicles which spanned more than 100 years of automotive history, including a 1928 Ahrens-Fox Model GN-80-4 vintage fire truck. 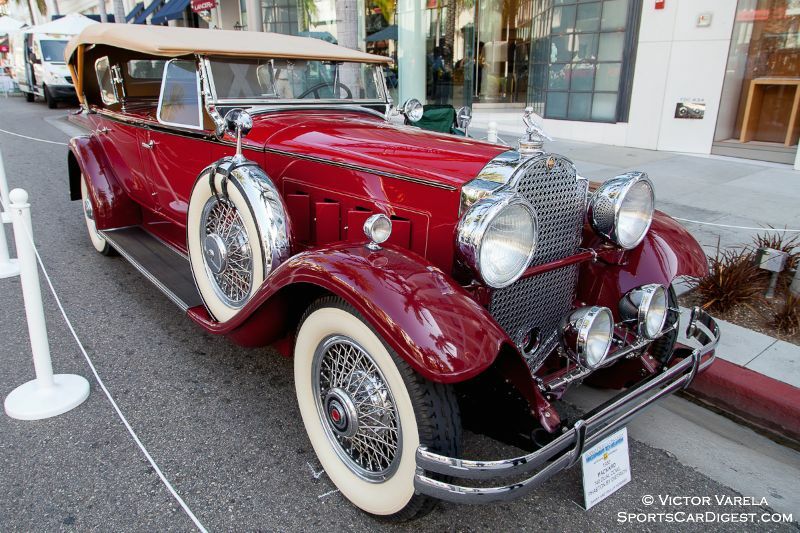 Featured cars were a 1930 Packard 740 Dual Cowl Phaeton by Dietrich; 1962 Ferrari 250 GT SWB Berlinetta; 1956 Jaguar XK140 OTS; 1928 Bentley 3/8 Liter Racer; 1939 Lagonda Riptide V12; 1938 Alvis 3 Liter 12/70; 1971 Ferrari 365 GTB/4 Daytona and 1925 Rolls-Royce Phantom I Aerodynamic Coupe by Jonckheere. 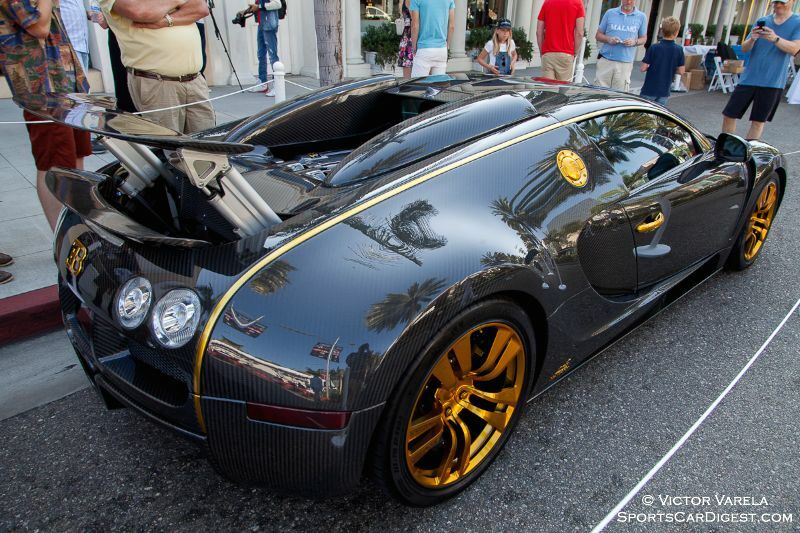 The Rodeo Drive Concours d’Elegance is the largest public event held annually in the city of Beverly Hills. 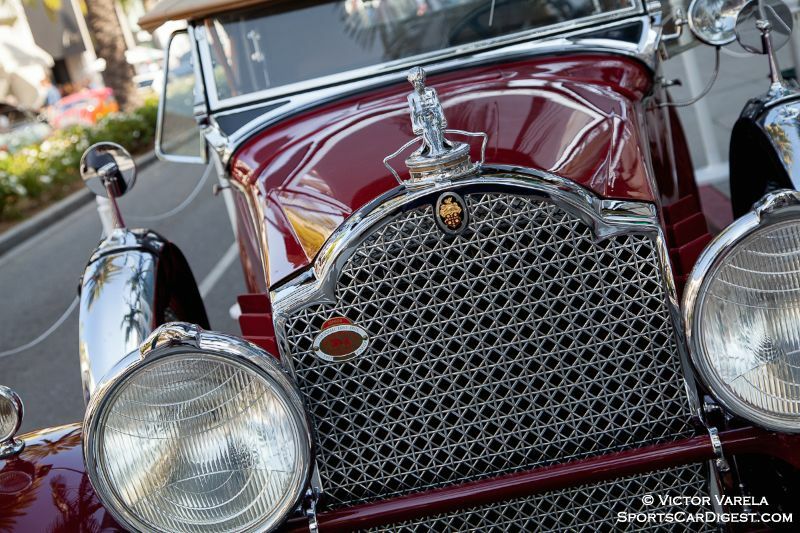 With its unique mix of car collectors, families, local residents and international visitors, it has been named “one of the 300 unmissable events in the world” by Frommer’s Travel Guide. 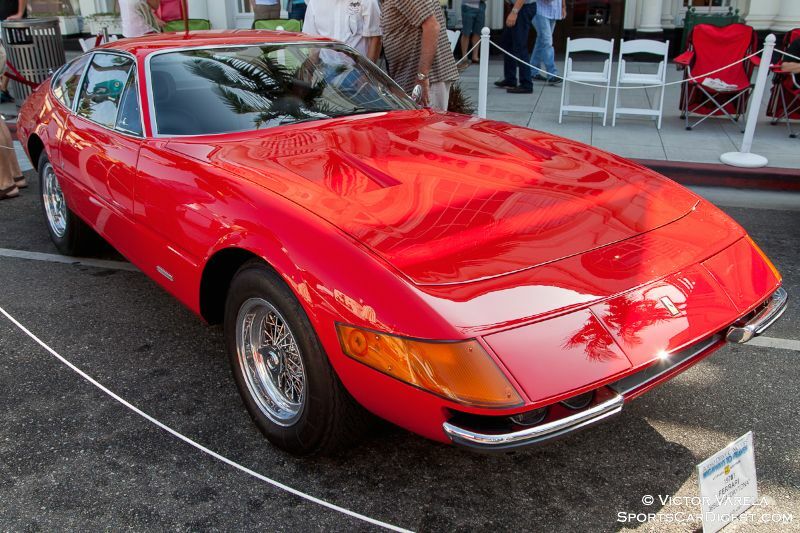 On behalf of Sports Car Digest, I am dedicating this report and photo gallery to all our Fathers, and in remembrance of mine, Saul Varela, who passed away in 2013. Thank you for sharing……I wish there were more shots of cars that were unusual, such as the 50’s Packard coupe ( I think it is a one-off and deserves to be seen from the side as well). You’re welcome, Rick. I’ll keep your suggestion in mind. – Alfa Romeo/Autodelta GTA 1600 Corsa Ex-Works car (1967). 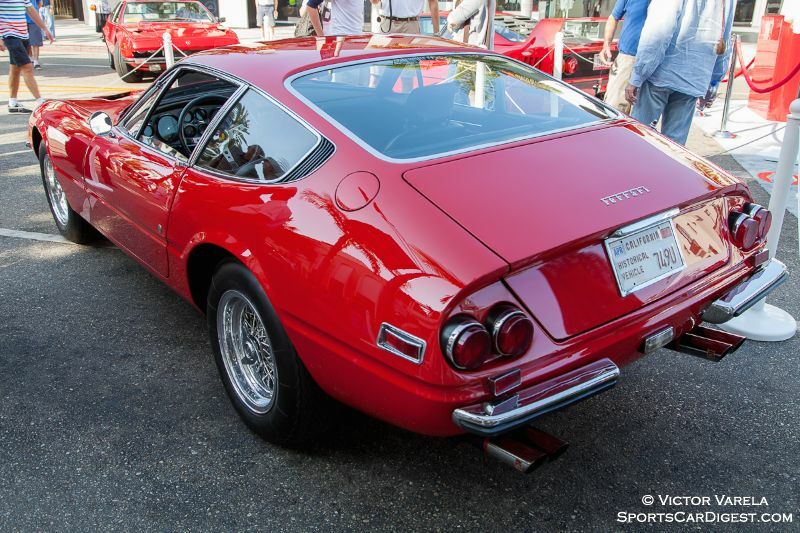 This car won it’s class at the following FIA events in period: 67″ 24 Hours of Spa Francorchamps, 68″ Trento Bondone , 71″ Targa Florio. 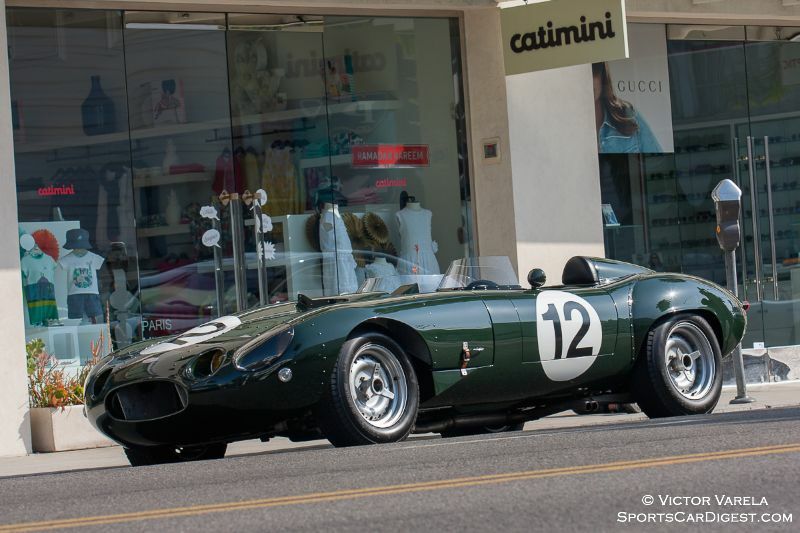 This car won it’s class and Sebring in 1957 and was 2nd in class at Sebring in 1958. 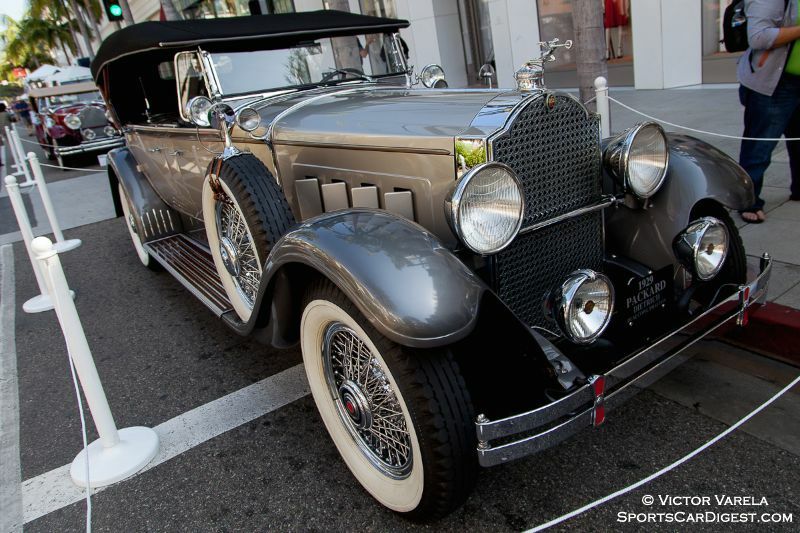 Thanks you for highlighting the historic significance of these 2 special Alfas! Victor, great shots! Well done. 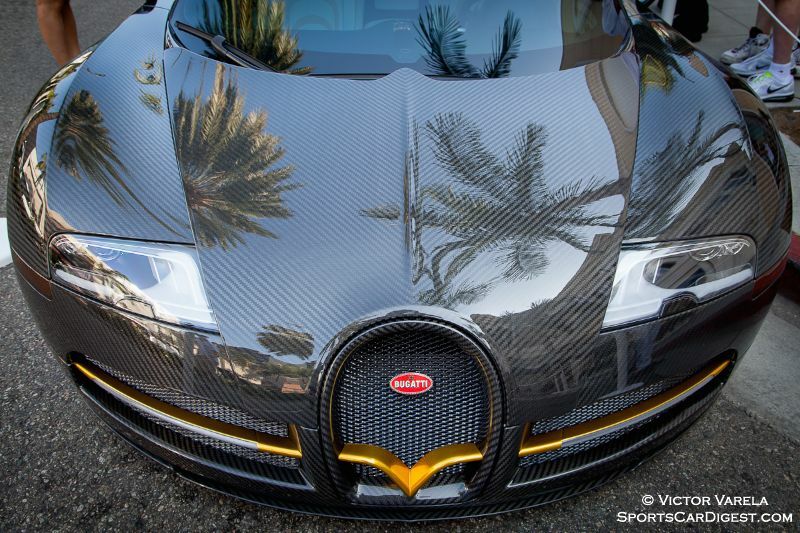 Victor is an automotive and motorsports photographer based out of Southern California. He began his journey into photography in 1982, while attending Roosevelt High school. With his first camera - a Canon AE-1 his father, Saul, gave him, he learned the basics of film photography while involved with the school’s public relations and yearbook staff. His passion for cars and racing started from an early age. He photographed his first motorsport event at the 1983 Formula 1 race at Long Beach and has been covering several motorsport and car events throughout the years. 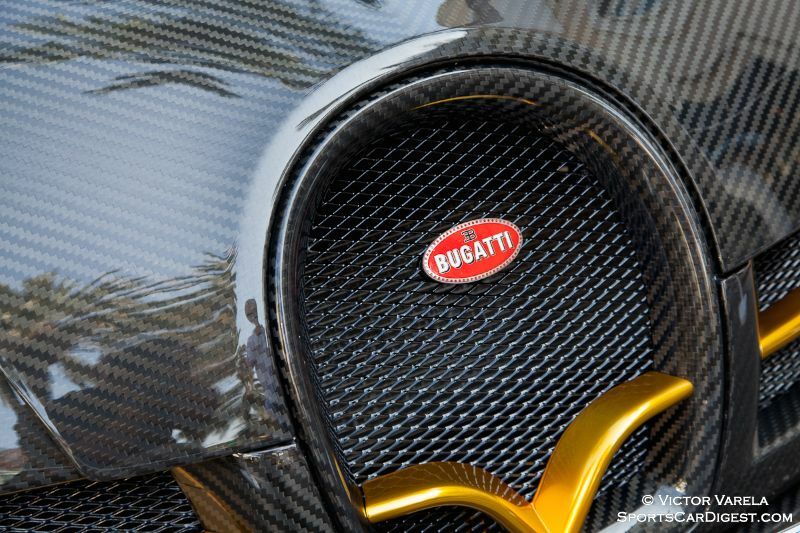 Since 2013, he has become more directly involved after completing the f8 Motorsports Photography Workshop, under the instruction and mentorship of Sports Car Digest’s Senior Photographer, Dennis Gray. Victor considers himself a bit of a “Digital Nomad”. When he is not out photographing at a racetrack, car show or event, he is traveling and working in web design and development for an L.A. based charter school district and several non-profit organizations. Married since 1989, he is a father of two and grandfather to Vincent. To see more, visit victorvarela.com and fotocurve.com.